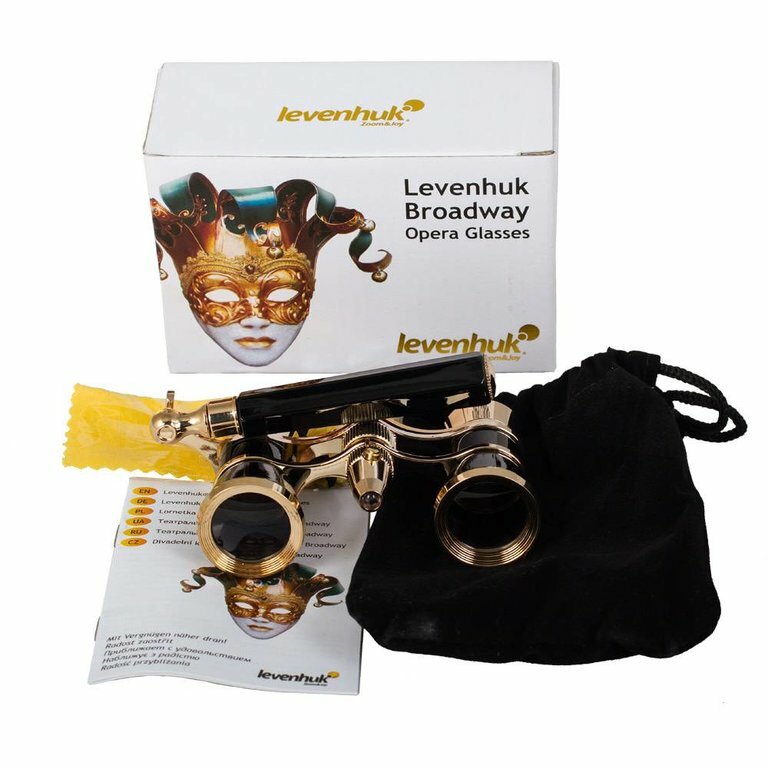 Levenhuk Broadway Opera Glasses, apart from being a practical tool when you want to see what is happening on the stage in sharpest details, are a very stylish accessory. 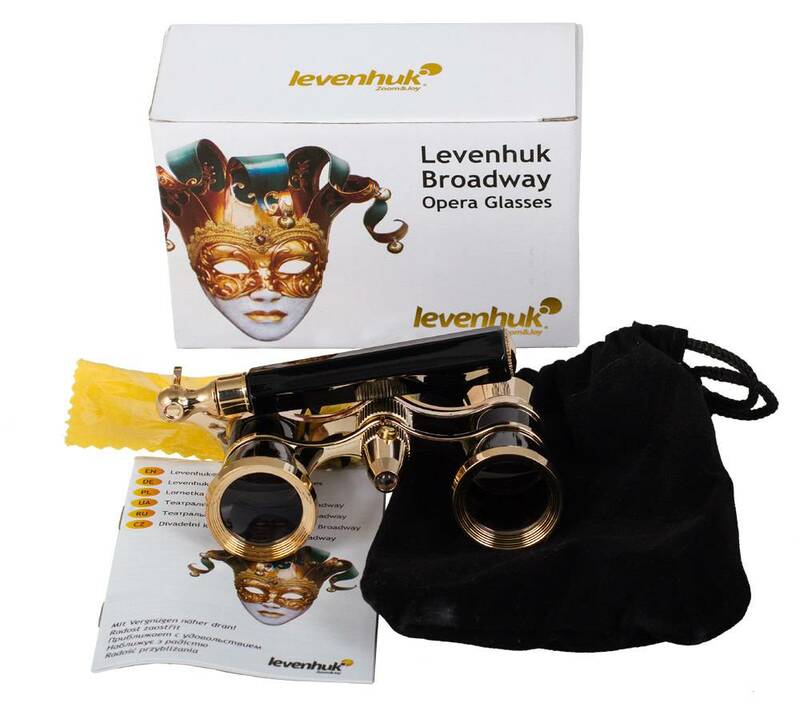 Elegant opera glasses would be a good complement to an evening dress, and the performance on stage will reveal itself to you under an entirely new angle. 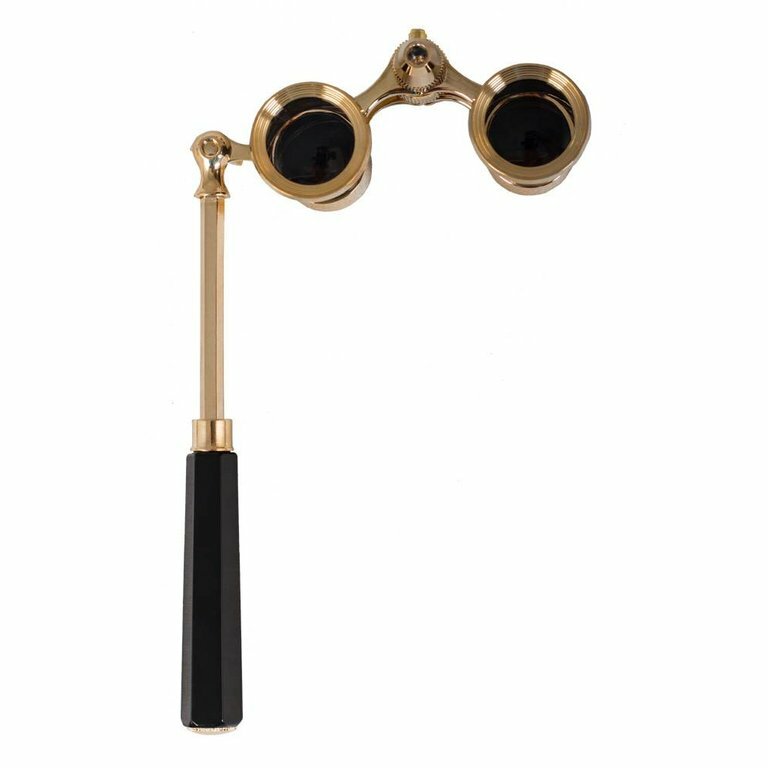 The telescopic handle allows you to adjust the lorgnette for the most comfortable use. 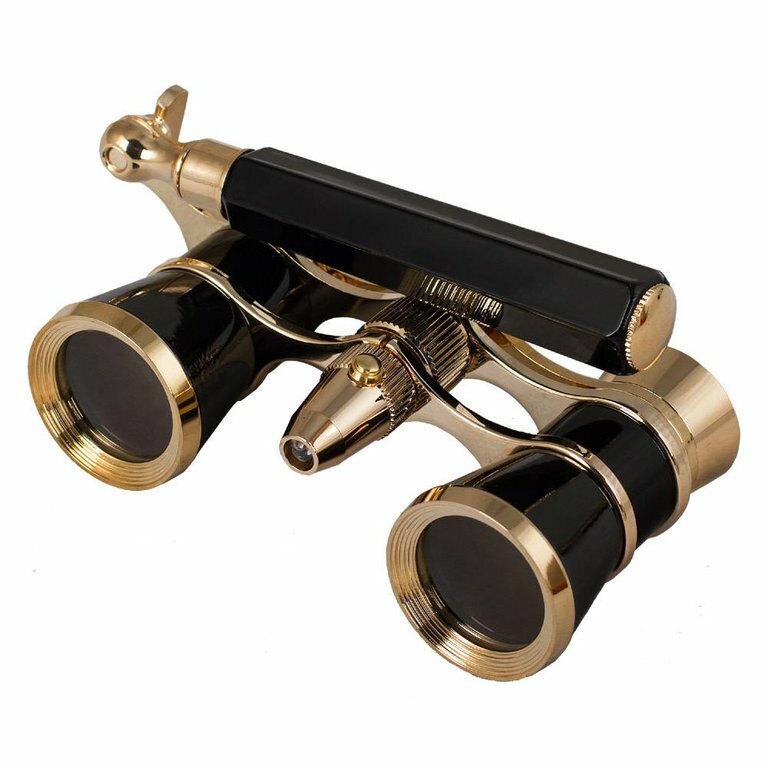 This model has a black lacquered surface with golden edging. 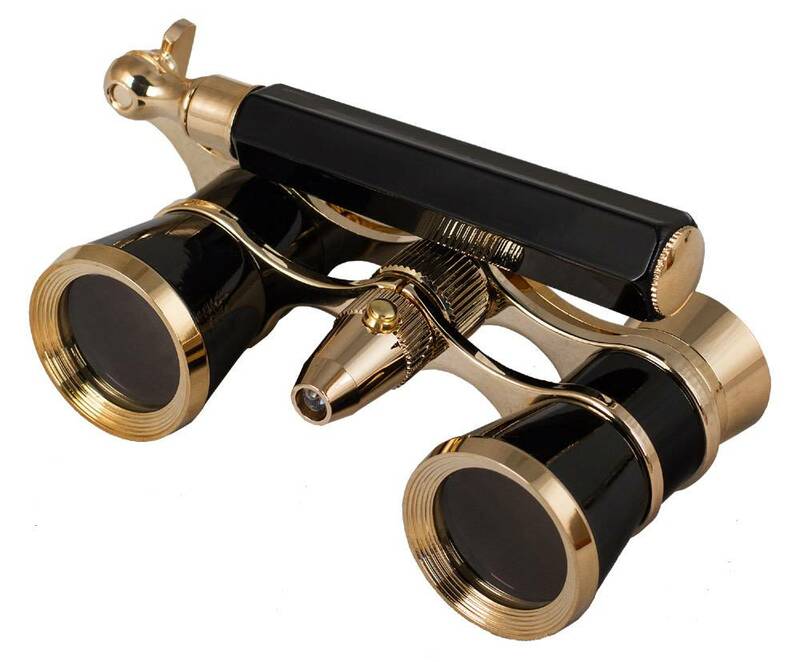 The binoculars have a central focus, which is convenient for quick sharpness adjustment. 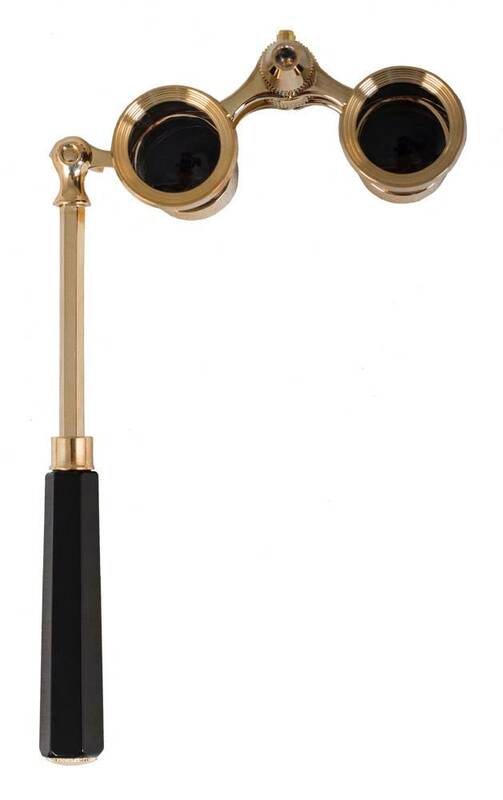 In addition, the model is equipped with LED light to help you find your seat even in complete darkness. The energy-efficient LED light is powered by two LR-41 button batteries (included in the kit), which provide for long life and rarely need to be replaced. 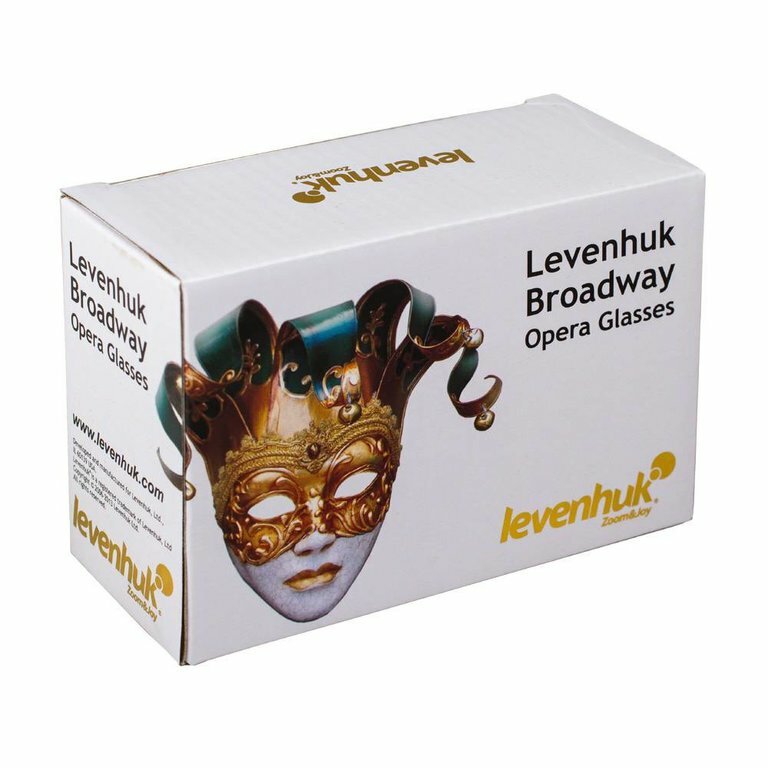 A removable chain, suede cleaning cloth, and leather pouch are also included.